Last October I met a person who was telling me that she knew another science fiction writer. She gave me the author’s name and I looked her up. Turns out, she’s not a sci-fi author at all. She’s a Paranormal Romance author. It occurred to me that there may be a few people who read my blog and do not know the exact differences between the genres that most people mistakenly lump in with sci-fi. So, I am going to give you a crash course in the different genres. Star Wars fall into this genre. 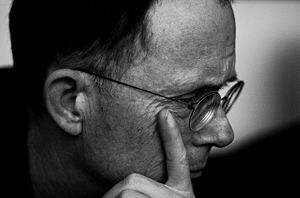 Novels such as William Gibson’s award-winning masterpiece Neuromancer also fall into this category. The easy description is anything that includes rivets, metals, robots, lasers and computers. Utopian and dystopian fiction, apocalyptic and post-apocalyptic and alternate history fiction are often cited as characteristics of science fiction, especially since there is often-times machinery, lasers, and steampunk involved. Fantasy is not science related. Fantasy has to do with wizardry, dragons, and adventure. Think Legend of the Seeker, Harry Potter, and Ever After. Notice, there are no computers, spaceships or robots in any of these types of stories. Horror is a story which is meant to scare the bejeezes out of you. Hostel, Scream, I Know What You Did Last Summer, Texas Chainsaw Massacre (all of ‘em) and of course we can’t forget Hannibal (she says in a reverent tone). This genre can be mixed with the above listed. Supernatural Fiction is often mistaken for horror, because they both scare folks. But the difference is that true Horror movies are about humans doing the killing and scaring. Supernatural Fiction incorporates demons, angels and ghosts. These movies would include Child’s Play, Candyman, Insidious, and The Exorcist. Utopian and Dystopian Fiction is about societies either under a perfect rule and everyone lives happily, or a totalitarian or an oligarchical government is running and ruining everything. Life stinks, freedoms are revoked to keep people in line, and no one is having any kind of fun. Generally, revolution happens on some level and freedom is restored to some or all. Some of my favorite books and movies fall into these categories: they are: V for Vendetta, Aeon Flux, Nineteen Eighty-Four, Equilibrium (which is based loosely on 1984), and my total favorite book of all time A Brave New World. 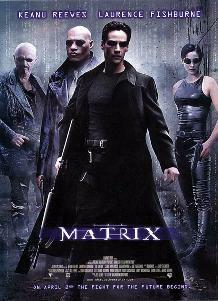 You could even throw The Matrix Trilogy in if you wanted to. Apocalyptic means that the heads of two or more countries have all pushed the button and set about totally destroying the world. Either that, or the mother of all storms is going to decimate the world and we’re all screwed. A few good movies for this genre would be 2012 and The Day After Tomorrow. Whereas Post-Apocalyptic means the stuff has already hit the fan and a few humans are doing their level best to eek out an existence on what is left of the world: think The Mad Max Trilogy. Last but not least, we have Alternate History fiction. This is what happens when someone asks the question, “What if Hitler had won?” or, “What if the Roman Empire had never fallen?”. A few movies which fall into this category are, Red Dawn, where the Russians and Cubans invaded America; Inglorious Basterds, where a group of Jewish-American soldiers went behind enemy lines and got a little of their own back on the Germans; and the indie film CSA:The Confederates States of America where the South won instead of the North in the Civil War. As I stated earlier, some of these genres get mixed and you end up with movies that cross the genres. Because of this, however, many people have made the mistake of lumping Dragonslayer in with, say Predator. Dragons and aliens do not belong in the same genre, unless the dragon is from another planet and we need laser pulse rifles to destroy them. So the next time you are describing an author, movie or book, you’ll be able to place it in the proper category and stave off confusion. And trust me, this may not seem important to some of you, but for some of us it really is. I’ve actually over heard conversations between people, that darn near turned into fist-fights because someone mistakenly called a horror movie sci-fi. So there you are–a crash course in the different genres of Speculative Fiction.